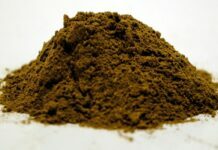 Red Vein Thai Kratom, also known more commonly as simply Red Thai, is one of the most widely consumed red strains of Kratom leaf powder on the market. The Red Thai is one of the best strains for promoting relaxation, with positive physical and emotional well-being effects. While this type isn’t as stimulating compared to the green vein variety, the duration of the effect is much longer and offer a pain-relieving and euphoric effect. 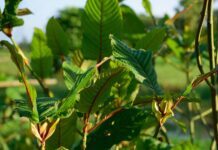 Red Vein Kratom products all have one characteristic in common – they are derived from Kratom trees with leaves that have reddish midrib and veins. The distinct color of the vein is due to the presence of a unique chemical in the tree. The variations may be genetic and based on the variety of the tree the leaves were harvested from. Kratom farmers reported that the red veined Kratom strain has a higher yield and are more resilient. Some farmers state that there are trees with leaves that have varying colored veins. The red vein may appear more in younger trees that are more susceptible to insect attacks. Another theory states that the varying vein color is due to changing environmental condition such as weather and temperature. As for the effect, the Red Thai Kratom has a more relaxing, sedative effect compared to the green and white strain. With this, it can be an excellent sleep aid for people experiencing insomnia. Because it doesn’t have stimulating properties, it works generally as a relaxant. This effect of Kratom can be highly useful during sleep time, however, it can be interfering during a hectic day, particularly those who are sensitive to the relaxing effect of the plant. It is advised to use separate strains of Kratom during the day to enjoy the full benefits of this plant. This strain also has a potent pain relieving effect, probably because of its relaxing properties. It also has a mood-brightening effect, which is not common in some other strains. One of the most important medicinal benefits of Red Thai Kratom is pain relief. Based on user report, nearly everyone who has used Kratom use the red variety for this purpose. Although research on the alkaloids of Kratoms by the color of the vein is still very limited, a research conducted by Becket A.H indicate that the red vein strain has a higher level of 7-hydroxymitragynine, which is the main alkaloid with pain killing effect. Most often, herbal plants with significant pain relieving action have some form of relaxation and sedative effect. The main reason is that 7-hydroxymitgragynine is also responsible for the mild relaxing and sedative effects of this plant. For alleviating depression, anxiety, mood swings, insomnia and stress, take 4 to 8 grams of Red Thai. This dosage level provides a sense of tranquillity and can uplift the mood. For pain relief, take 8 to 9 grams. It will directly connect to your brain’s opiate receptors to reduce pain sensation. Take note that higher dosage of Red Thai Kratom is not recommended. Like any strain of Kratom, the Red Vein Thai Kratom does carry precautions and warnings to be aware of. Though it is regarded as ‘less strong’, it doesn’t mean it cannot cause problems. Never take beyond the recommended dosage. It can cause nausea and dizziness which are the most common side effects. More serious side effects may occur when taking higher dosage or combining it with an opiate substance or alcohol. Be careful with the product supplier because some products may contain higher levels of alkaloids than others. This may affect the product’s potency and the effect. Better start with a low dosage and increase if necessary.